I finished Week Two, Day Three today and I actually feel great! The run was strenuous, but I never felt like I couldn’t finish at any point. My walk sections were actually real powerwalks, keeping my heart rate up instead of slowing down and trying to catch my breath. I wasn’t deliberately trying to speed up from Wednesday’s run, but I just felt better about it. There’s a bench on Great Highway that I consider my “halfway” point, where I usually have to stop and strip off my long-sleeved overshirt to keep from overheating (even on these foggy days). On Wednesday, I had to walk at least another minute to get there, but today, I was almost there by the time the walk section ended! But the best part came at the end. On Day One, I was so exhausted by the time I got to the last run section, but to stay motivated, I challenged myself to keep running until I reached this tree. I timed it perfectly with the end of the run section, and I was so proud of myself. On Day Two, I was going much slower and didn’t even make it up the hill toward this tree by the time the last run section ended (though I did push myself to actually run to it!). Today, however, I not only made it up to the tree, but ran for an additional 25 seconds afterward! It’s the first time I’ve really felt strong while running. I start Week Three next week and I’m a little nervous. I’ve never made it past Day Two. Fingers crossed that next week, I’m writing this kind of post about Week Three and nervous about Week Four! Run 5K – Week Two Completed! Over a month ago, I was struggling in Week Two of Run 5K and skipping group fitness classes because I was sore/busy. Then Sketchfest happened, I got a cold, it cold/rainy outside, my parents visited. Basically, I was an excuse factory for a month. I wasn’t totally idle during my unintentional break. I got a raise this month and my treat to myself was brand-new running shoes. I last bought running shoes in 2002/2003 (I can’t remember when exactly), so it was MORE than time to get new ones. I went to See Jane Run in Noe Valley and the experience was everything I hoped it would be. The sales associate watched me walk and stand to see what kind of shoes I needed. Then I tried on various pairs, even leaving the store to run around the block and really get a feel for them. 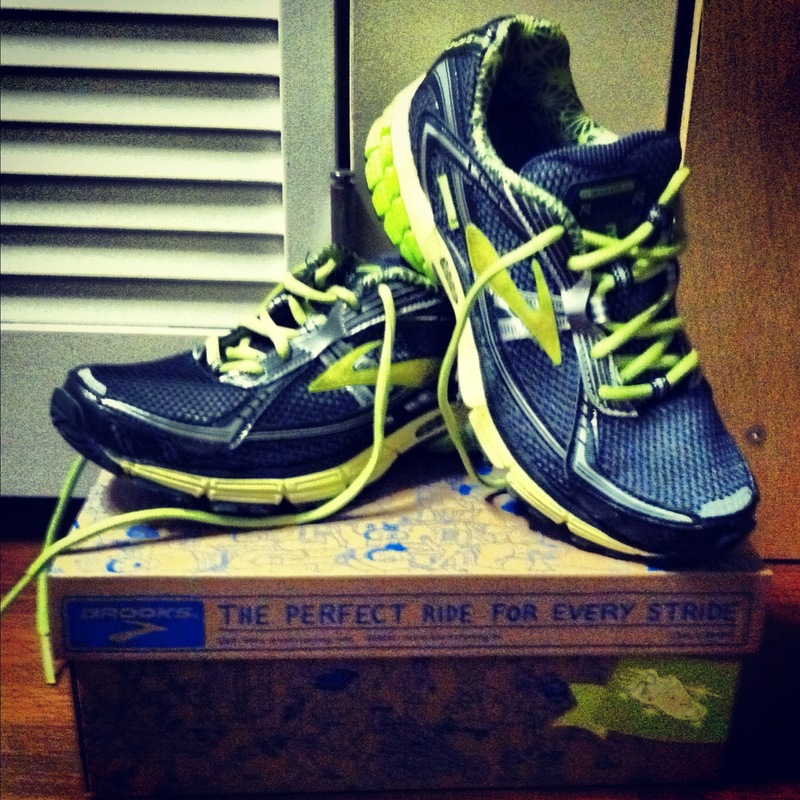 I ended up with the first pair of shoes I tried, Brooks Ravenna 3. I wasn’t totally sold on the color, but they just fit so well and it didn’t even feel like I was wearing shoes at all. 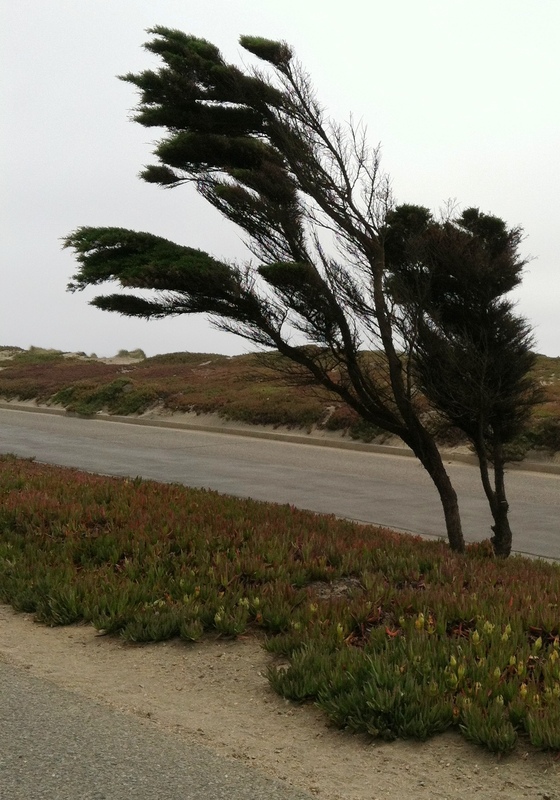 Yesterday, I decided I wanted to get back to work, but the wind in San Francisco was brutal. My weather app said it was only 9 mph, but I could barely catch my breath during the walk. I did one run sequence and gave up. It was the first time I’ve ever given up so far, but I knew if the wind died down today, I’d get a much better workout. This morning, I pulled on my running clothes and set out for the beach. It was definitely chillier than I prefer when running outside, but I persevered. I had to stop a couple times to catch my breath, but I finished week two after a five week break! I still had pain in my foot, even with my new shoes, so I’ll be heading back to See Jane Run to see if they have some inserts or other suggestions to get that under control. I’m happy to get back to training because I also signed up for my first 5K this morning! I’ll be running in the Giant Race in September. I wanted to give myself plenty of time to get into shape before the big day, especially if I continue to have month-long breaks before training runs. Besides, I thought it was only fitting that my first race begin and end at AT&T Park; fingers crossed for a high-five from Buster Posey! On Saturday, I completed Week 1 of the Run 5K program. I’ve probably started a couch to 5K program at least 4 times before, but I’d never gotten passed the first workout. I’ve never been a runner. The last time I ran for more than the bus was sophomore year in high school, and only when required in gym class. 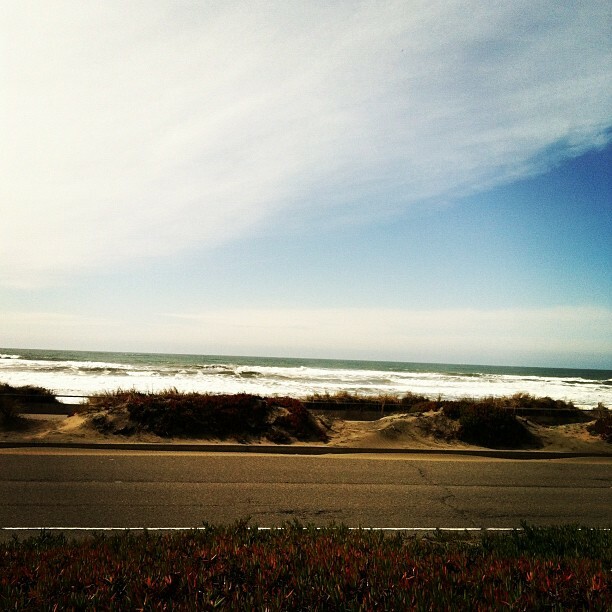 But there I was, ear buds in, running along the beach with the rest of the athletic folks in the California sunshine. The workout was hard, but doable. I had a new workout playlist and I was shakin’ my thang on the breaks. I felt like I could finally handle this running thing. After brunching and shopping with A on Monday, I rushed home to do Day One, Week 2 before it got dark. The run times were twice what they were in Week One. It was cold and windy and everything hurt. I finished the workout, but just barely. There was definitely part of me that wanted to give up during the second of the six intervals, but I stuck it out. I didn’t remember Day One of Week 1 being quite so hard. I definitely did not strut during my interval breaks. And I was sore. Stretching and a warm shower didn’t cure my throbbing shins or aching quads on Monday evening. Then on Tuesday, I skipped spin class because my knee was giving me fits when I went up and down the stairs at work. Instead of completing Day Two or going to body sculpting class on Wednesday, I skipped the gym and went to a movie with friends. Tonight, I skipped spin again to run errands and prep for my busy weekend. And now it’s raining. It IS winter after all. No running outside for the foreseeable future and with things starting up again at work, the demand for treadmills will be crazy. Hopefully, this week is a minor set back and I can get back into a routine as work starts to get busy again. I did actually miss going to the gym and sweating out a long day, so here’s hoping next week is more productive!